Students Raise Awareness of Tobacco Marketing and Underage Smoking for "Seen Enough Tobacco Day"
A student manning the Seen Enough Tobacco desk at the Institute of Technology in Syracuse. 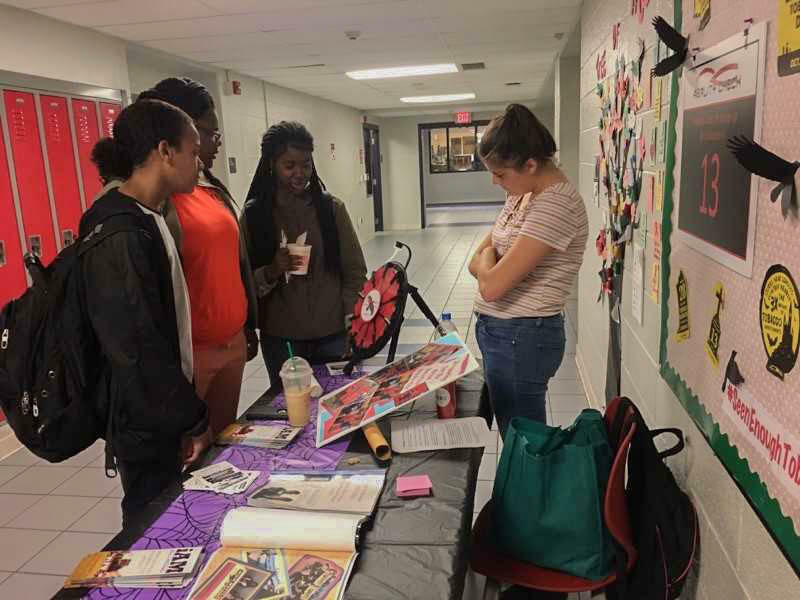 Middle and high school students in Fulton, the Institute of Technology in Syracuse and across the state today called attention to the billions of dollars of tobacco promotion in stores that is likely influencing kids to start smoking at the average age of 13. 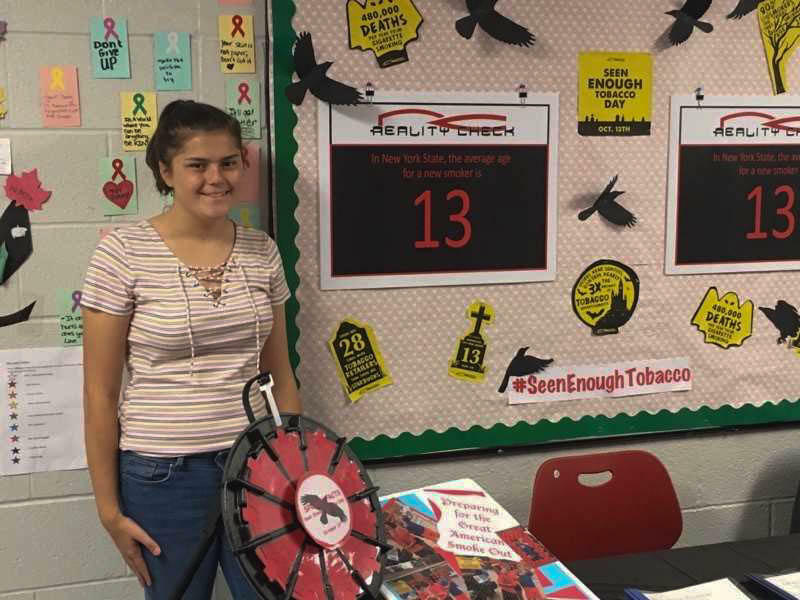 Today is Seen Enough Tobacco Day, and students created displays aimed at raising awareness of tobacco placement and advertising. Joe Wicks is with the Tobacco Free Network of Central New York, and says even pharmacies are partly to blame. Some pharmacy chains have stopped selling tobacco products, or don’t place them prominently. Some locations in New York are even considering laws to prohibit tobacco sales at pharmacies. Wicks says anything helps, because even third graders are getting hooked. 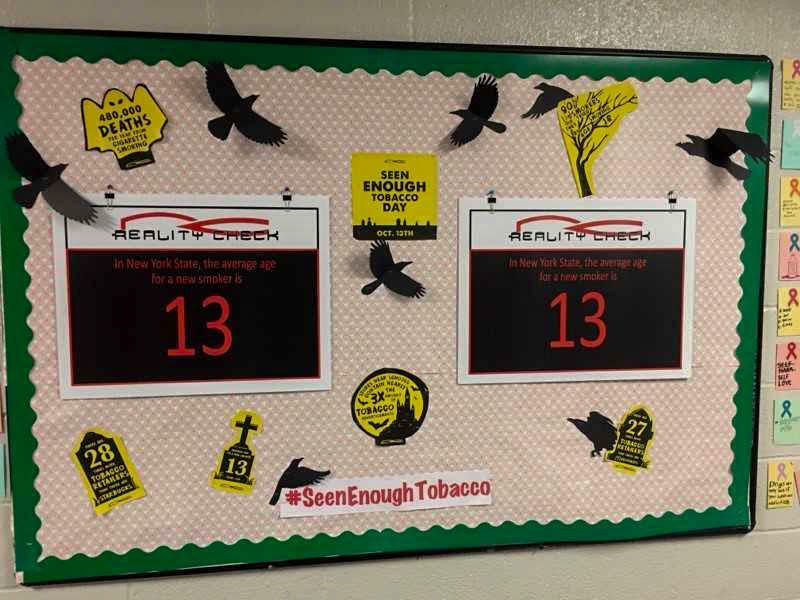 Students overlooking the information at the Seen Enough Tobacco desk. Wicks says 90 percent of smokers start before age 18, so early prevention is critical. Otherwise, he says, they might regret it. “I have yet to meet someone who smokes who wants you to start smoking and who thinks starting smoking was a good idea themselves. Most, if not all, the smokers I’ve spoken with want to quit. Have not only the desire to quit, but have attempted quitting themselves." In addition to eliminating point-of-sale marketing, wicks says they’re also working with businesses and municipalities on measures to limit second-hand smoke exposure outdoors. There’s a petition at seenenoughtobacco.org. The New York Smokers Quit line is 1-866-ny-quits or nysmokefree.com.